See original CBC article here The Nova Scotia government is touting new hospital software it says can better predict breast cancer risk, but the province is not routinely sharing the results with patients or their family doctors. 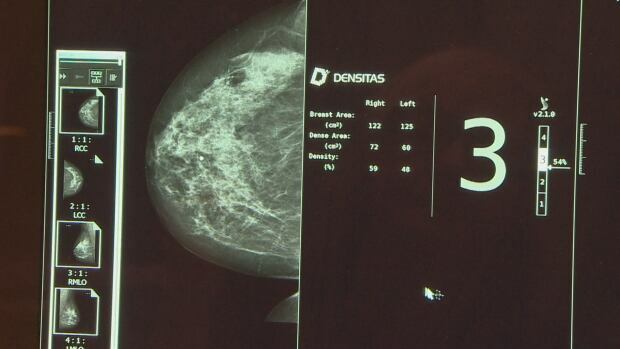 In October, software designed by Nova Scotia company Densitas was installed in hospitals throughout the province to automatically record breast density during mammograms. The idea is to use the technology instead of relying on a radiologist’s eyes because, like cancer, dense breast tissue appears white in mammograms, making it difficult for radiologists to see. A woman with dense breasts also has more dense tissue than fatty, and that means her chances of getting cancer are higher. But unless a woman specifically asks her doctor to request the breast density recordings from the radiologists, the results are filed away. Cheryl Stewart-Walsh said women deserve to know that information, along with the potential health risks of having dense breasts. The Dartmouth, N.S., woman said she still wonders about her examination four years ago. She had noticed some lumps and was told she had dense breasts, but her mammogram came back clear. “If somebody had said to me back then, ‘You have dense breast tissue and it means that you need to be more vigilant because you have a higher risk of breast cancer,’ I would have been doing more regular exams,” she said. This spring, the 39-year-old noticed a lump in the same spot doctors had first examined. Within weeks, she was diagnosed with breast cancer and has since undergone a lumpectomy, 18 weeks of chemotherapy and 21 rounds of radiation. She just completed cancer treatment last month. Paula Gordon, a Vancouver-based radiologist with the national advocacy group Dense Breasts Canada, said women deserve to know their breast-density information so they can be more vigilant with self-exams. “Knowing your breast density is like knowing that you have high blood pressure or that you have high cholesterol,” Gordon said. “Can you imagine a family doctor taking somebody’s blood pressure and finding it high, and not sharing that information with the patient?” Approximately 43 per cent of women aged 40 to 74 have dense breast tissue, according to Gordon’s group, which means more than 100,000 women in Nova Scotia could be affected. Some women with dense breasts have four to six times the risk of getting breast cancer compared with women who don’t have dense breasts, according to the Canadian Cancer Society. Dr. Paula Gordon says women across Canada are being left in the dark. The province says it eventually wants to provide its new software-generated breast-density information automatically to doctors and patients. 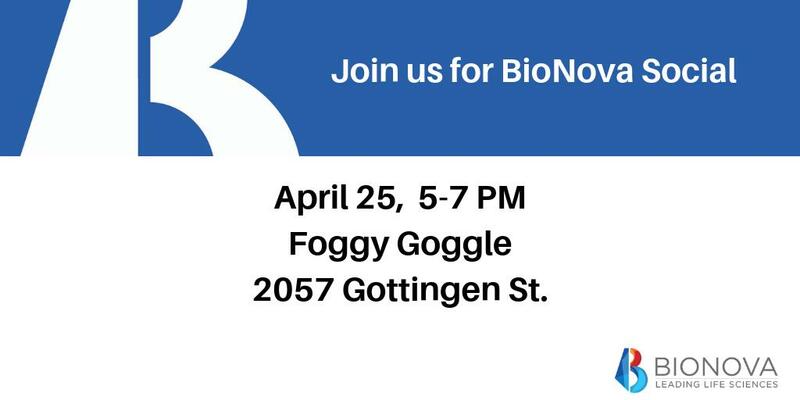 However, there is currently no “mechanism” or timeline to do so, according to Dr. Sian Iles, a radiologist and medical adviser for the Nova Scotia breast screening program, which is run by Nova Scotia’s Department of Health. “We have got plans but we haven’t been able to implement that yet,” Iles said. “It’s a very complex health-care system. 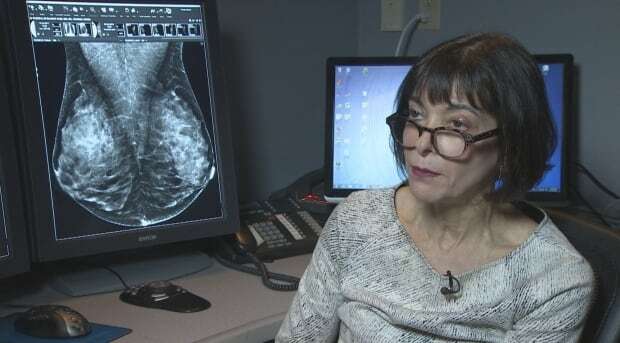 We’re not in charge of all the variables.” Years have been spent standardizing the reporting of breast density, Iles said, and every mammogram in Nova Scotia now leads to an automated breast density report. Each province has different rules around testing and reporting breast density. Quebec requires that a woman’s breast density information be reported, but only to her doctor. Other provinces, like Ontario and P.E.I., usually require that the information be passed on to a woman’s doctor, and that the patient be informed if her density is over 75 per cent, which is considered extreme.